Hundreds of people have taken part in the funerals of four Palestinians killed in clashes with Israeli troops. More than 150 others were wounded on Friday, mostly on the Gaza Strip border, in a second week of demonstrations against President Trump's recognition of Jerusalem as the Israeli capital. One of those killed was a wheelchair-bound man who reportedly lost both of his legs in an Israeli missile strike in 2008. 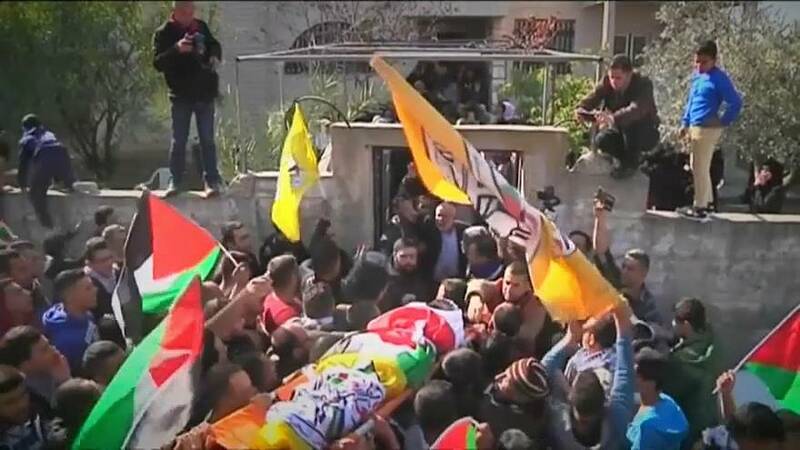 The leader of the Hamas Islamist group, Ismail Haniyeh, attended the funeral and said: "Let it be known that we will not give up Jerusalem. "I do not mean East Jerusalem, but a unified Jerusalem, neither East nor West of Jerusalem." One of two Palestinians killed in the occupied West Bank was a man accused by Israeli police of stabbing an officer. Witnesses quoted by the Reuters news agency say the man was holding a knife and wore what resembled a bomb belt. But Palestinian medics who helped remove the man from the scene say the belt was fake.